I am an Albany local of nearly 30 years, born and bred in Albany. My parents have built a successful business in town that they owned and operated for over 25 years until the reigns were handed over to my younger brother. With over 6 years’ experience in banking and over 5 years’ experience in retail, customer service is my biggest asset. Customers are the most important thing to me and I will work hard to ensure the best outcome for all of my clients. I get enjoyment and satisfaction out of helping people and because of this it is one of my major drivers. With experience in Home Lending with 2 major financial institutions in Albany, I have skills that are easily transferable to the Real Estate industry. With a fresh, new approach to selling and buying Real Estate, I would relish the opportunity to speak with you about anything Real Estate and I will work tirelessly to make your goals and dreams come true. Kyle was very efficient and gave us a lot of his time. His patience and assistance were extremely appreciated, and his knowledge of the property was excellent. Very approachable. I felt he was very understanding and went above and beyond to make it an enjoyable experience. Kyle was excellent to deal with because he explained everything clearly & kept us well informed throughout the process. From start to finish the sale of our home was professional, positive and we would highly recommend Kyle to anyone. A big thank you Kyle for all your enthusiasm and feedback. Would you use Kyle Sproxton again in the future? Because Kyle is an asset to any team. He has a very straight to the point/matter of fact approach with out being arrogant. Kyle was very friendly, helpful & professional. We were very happy with the service Kyle provided us. He was very accessible, helpful and friendly, and got us a good outcome in the sale of our house. We were both extremely happy with Kyle he was an excellent choice as a real estate agent. His knowledge and his pleasant nature made it so easy for us to feel confident in his selling of our property. After receiving the offer on our property after only 4 weeks on the market, Kyle was always keeping us inform as to the progress of the sale and the final settlement. We would highly recommend Kyle as an agent and would definitely use him again in the future. 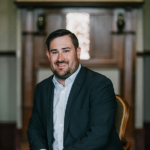 Our agent Kyle Sproxton is a valuable and highly recommended agent and with his amazing effort, communication and knowledge of the real estate market we were able to purchase our property. Being first home buyers, he was very patient, honest and forthcoming with everything we needed to know. He was there for us anytime of the day and could provide answers to our questions. I would highly recommend him to our family and friends. A big thank you to Kyle! Awesome Real Estate Agent - Kyle is very efficient and sold our house very professionally. I fully recommend Kyle Sproxton to sell anyone’s house. Thank you Kyle for the overall service you provided in selling this property. The advertising coverage embraced all media outlets and ultimately delivered the successful sale of the property. Your feedback on all matters was always detailed and concise and appreciated. Your dealings were always of a professional nature and sympathetic of the background to the sale of this property. Regards and best wishes for the future. We had good and timely advise that enabled the sale to proceed to a successful conclusion. Bill & I found Kyle and the staff very conscientious and helpful right through any hiccups and minor problems. Kyle was always very approachable. Excellent sales skills. Very conscientious courteous and considerate of our requirements. Lots of effort put in to achieve the end result. We were very happy with Kyle's manner and professionalism. We would definitely use him again if we buy or sell property! We originally appointed Kyle to sell our block and although he was only new to the job, we were extremely impressed by his professionalism and knowledge. We then changed our mind and decided to build on our block and got Kyle around to our house for an appraisal. We signed up and within a few days Kyle contacted us with a potential buyer, they visited the property to put in an offer! Within a week! The market research provided to us was outstanding, and Kyle kept us abreast of everything that was happening. Delays were communicated and he really stepped us through the process. He is professional, fun and a very hard worker. I have pretty high expectations and I was not disappointed once. You cant go wrong getting Kyle to sell your property. Kyle really cared about our situation and genuinely wanted to help us. He has a good sense of humor. We received lots of feedback. Kyle understood exactly what we wanted and moved straight away. He explained everything extremely well in regards to the purchase. We felt very comfortable and trusting in dealing with Kyle. Thank you. I have known Kyle for a few years now in Albany and he is very professional in his business dealings and works hard for his clients. I highly recommend Kyle for your next property purchased.